Is this our first proper glimpse of Huawei's Nexus phablet? 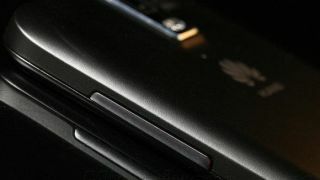 A new video has leaked online that claims to show off the upcoming Nexus smartphone that's rumoured to be built by Chinese manufacturer Huawei. The video was posted by Steve Hemmerstoffer whose @onleaks Twitter account has a good history of breaking news on upcoming smartphones. In the video what appears to be a fingerprint scanner can be seen underneath the camera, which means the new Nexus could be supporting biometric authentication. As Android M, the upcoming version of Android that will likely launch with the Nexus, is reportedly focusing on fingerprint authentication, it makes sense that Google's flagship Nexus device will support it as well. The handset in the leaked video looks large, which isn't surprising if rumours about the Nexus coming with a 5.7-inch QHD display are true. The video also indicates that the handset will have a matte body design and camera placement similar to last year's Nexus 5. Speaking of Nexus 5, Google has also just confirmed that LG will be building this year's Nexus 5, according to Korea Times. This doesn't rule out Huawei as the manufacturer of a Nexus device, however, as it still looks like Google will be releasing two Nexus devices this year. While we wait for more official confirmation about the new Nexus devices, here's Hemmerstoffer's video claiming to be of Huawei's Nexus phablet.